This four CD reissue set appears on the Real Gone label (RGMCD062) and comprises the whole of the eight LPs that were released originally on the Capitol label between 1956 and 1960. There’s no date on the package but I got it a few weeks ago. The package includes what others suggest are probably the brothers’ two finest collections. These are ‘Tragic Songs of Life’ (from 1956) and the wonderfully weird ‘Satan is Real’ (1960) which was issued originally with one of the most distinctive album covers ever (not in this compilation sadly). The sound quality is good but otherwise the package is a bit sparse (no liner notes or composer credits). That said, the price was less than you’d pay for a single full price CD. 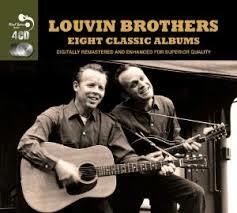 I first came across the Louvin Brothers (Ira and Charlie) via composer credits on Emmylou Harris albums (‘Making Believe’ and ‘If I Could Only Win Your Love’) and then through Gram Parsons and the Byrds (The Christian Life’ from their 1968 ‘Sweetheart of the Rodeo’ album) before reading about their larger-than-life story in Nicholas Dawidoff’s excellent 1997 book ‘In the Country of Country’. Although the subject matter can be remarkably kitsch and sentimental or aligned to a very particular religious tradition, it is redeemed by the stonkingly fine vocal performances and great tunes. There are 96 tracks in this collection and the ones I’ve found myself returning to are the earliest ones (‘Tragic Songs of Life’) especially the songs ‘Kentucky’, ‘Alabama’ and ‘Knoxville Girl’ .where the instrumentation is pretty sparse which allows the brothers’ harmonies to come to the fore. I’ve been thinking for a few days about how, when and what to include in this blog’s first Bob Dylan post and this seemed the right place for me. 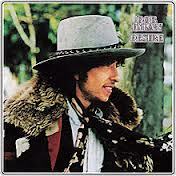 Desire was my second Dylan purchase (I’d got the ‘Greatest Hits’ LP earlier to capture all those songs I’d absorbed into my personal soundtrack pretty much unconsciously!) but this was when I took the plunge for real back in 1976. Rolling Thunder appears to have been a weird but magical experience when Dylan was joined on a low-key tour of New England by ex- paramour Joan Baez, Mick Ronson,Allen Ginsburg, Ramblin’ Jack Elliott and sundry others. Although there are now other Dylan albums I enjoy more, was my favourite for several years and is still played frequently. One reason is the wonderful violin of Scarlet Rivera which gives the album a really distinctive sound. 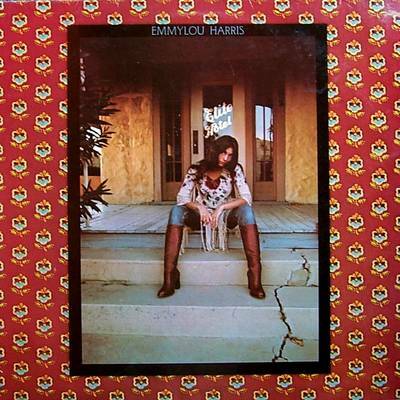 Another reason is the presence of Emmylou Harris on backing vocals (though on the opening track the voice is Ronee Blakely). The main reason, of course, are the songs, many of which are (unusually for Dylan) co-written with theatre director Jacques Levy and which include several story-songs with a cinematic quality (listen for example to ‘Black Diamond Bay’ to see what I mean). Overall, the collection hangs together rather well and the overall sound remains intriguing. 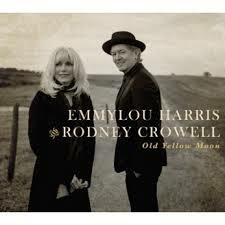 By Emmylou Harris and Rodney Crowell (2013, Nonesuch Records catalogue in UK 7559-79599-9). One of my first 2013 CD purchases and rather good it is too! Ms Harris and Mr Crowell first came together when she hired him to join her Hot Band back in the 1970s. He stayed for a few albums before branching out into a solo career. I’ve got a few of his albums and a lot of hers so it’s pleasing to hear them together again. You can hear how well they know how each other sings and plays through experience (rather more so than the less natural-sounding Emmylou Harris/Mark Knoplfer collaboration). Production is by Brian Ahern (Emmylou’s former husband) who also produced their earlier work.This is very much a Country album. The outstanding tracks for me include the least countrified ‘Spanish Dancer’ (by Patti Scialfa)(a.k.a. Mrs Springsteen), ‘Hanging Up My Heart’ by another Hot Band alumnus (Hank DeVito) and a couple of Crowell compositions, ‘Bull Rider’ and a jaunty re-working of ‘Bluebird Wine’ which Emmylou first recorded in 1975. It’s hardly worth saying that she sings like an angel since she does on pretty much everything!